Ann Friedman, Ph.D., a psychologist, has studied mindfulness intensively with various national teachers since 2007. She received a Certification in Mindfulness Facilitation from the Mindful Awareness Research Center (MARC) of the Semel Institute of Neuroscience and Behavioral Medicine at UCLA. Ann has also completed courses for teaching mindfulness to children and teens through Mindful Schools, Sitting Like a Frog and A Still Quiet Place. Ann teaches mindfulness classes for adults, teens, and school districts, often in collaboration with Mental Health America of Greater Houston. She also presents at corporations. In 2018 Ann was sent by UNICEF to teach Mindfulness in Puerto Rico following Hurricane Maria. Ann previously served as an Adjunct Professor at the University of Houston Counseling Psychology Graduate Program for over ten years. She holds both a Doctorate in Counseling Psychology and a Doctor of Jurisprudence from the University of Houston. She completed her Residency in Clinical Psychology at U.T. Medical School and her Post-Doctoral Fellowship in Clinical Neuropsychology at Baylor College of Medicine. In addition to her work, Ann has been an active community volunteer. For over ten years, she was a member of the Boards of the Boys and Girls Clubs of Greater Houston (Board Chairman), the Houston A+ Challenge (Board Chairman), and the Children’s Defense Fund. She continues to serve on the Advisory Boards of these nonprofits, as well as on the Advisory Board of the Rothko Chapel, Shifa Women’s Center, and Interfaith Ministries of Greater Houston. Previously, Ann served as a Board member of Houston Proud, Serve Houston Youth Corp, Tax Reinvestment Zone Nine, Holocaust Museum Houston, The Forum Club, Texas Lyceum Association and the Avondale House for Autistic Children. She has chaired numerous school programs, charity galas and civic events, and has been honored for her volunteer service many times. Ann is marred to J. Kent Friedman, General Counsel and Chief Administrative Officer of Morae Global, LLP. They have five children and eight wonderful grandchildren. Ann is available to teach mindfulness to social and civic groups, schools, businesses, and healthcare organizations. She can be reached at ann@mindfulbeinghouston.com or by calling (713) 443-6273. Mindfulness meditation changed my life which is why I share it with others. As a young person who struggled with mild anxiety, there came a time that my own anxiety increased to a level that caused me suffering. By that time, I was a psychologist who was adept at helping others with anxiety, among other issues, but I did not have a personal practice to calm myself. In 2007, with no idea what I was getting into, I plunged into my first 7-day silent mindfulness retreat. At the retreat, I learned to watch my own my own mind for long periods of time and saw, clearly, how the chatter rarely ceased. Much of it was repetitive. I noticed my frustration with people and events that I could not control, as well as regular criticisms of myself and others. We all struggle from time-to-time with life’s challenges. I needed to learn how to quiet my mind, find acceptance, and become more compassionate with myself and others. From that time on, I could not get enough of mindfulness. I listened to tapes in my car and regularly practiced mindful driving. My walks often became practices. I connected monthly with teachers, and a practice group. I have also attended several 7-10 day silent retreats annually with national teachers. While many people will not get as enthusiastic as I did about mindfulness; like most things in life, the more we put into it, the more we get out of it. Many people have find that practicing for a short period daily–perhaps 10 to 20 minutes—has a positive impact on their day. I hope you will experience my class as a warm, inviting and supportive. I am here to assist you with developing a practice and if you so choose, to become engaged with a practice community to support you. Dr. Michele Pola retired in 2014 with 35 years in the public and non-profit sector of education. She served as chief of staff for the Houston Independent School District, the nation’s seventh-largest district, from 2007 to 2014. Her dedication to public education began in the early 1980s as teacher and soon after as principal of River Oaks Elementary in Houston ISD. 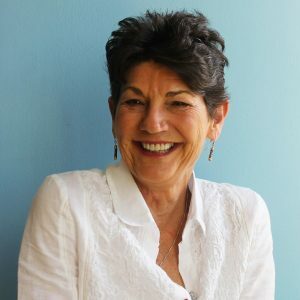 Additionally, she served as executive director, associate director, and program director of the Houston A+ (Annenberg) Challenge from 1999 to 2007, Dr. Pola led reform efforts to build leadership capacity in central offices and at the school level. Michele started her journey in 2007 into mindfulness initially through Yoga, and in 2017 became a certified Yoga Instructor with Yoga Alliance at Joy Yoga University. She became directly engaged with Mindfulness in 2014 by attending sessions with Dr. Ann Friedman of Mindful Being. She became a trained facilitator through Mindful Awareness Research Center (MARC) of the Semel Institute of Neuroscience and Behavioral Medicine at UCLA. 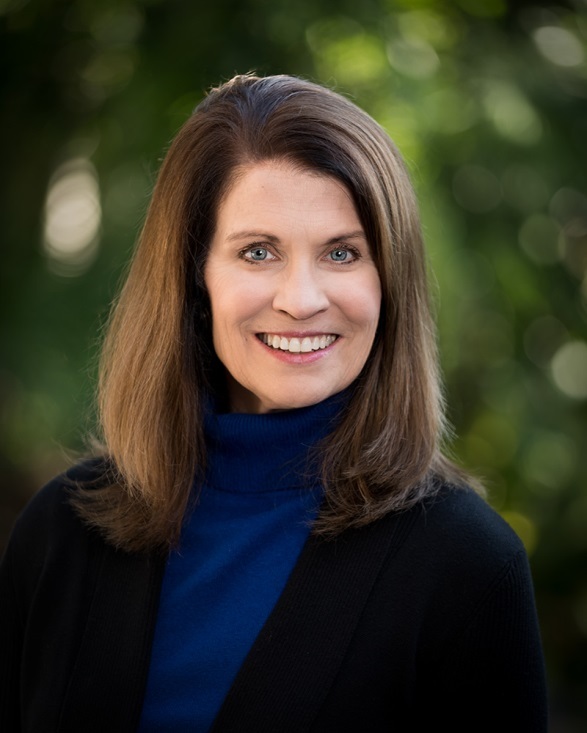 She serves as a facilitator for training with Dr. Friedman and as a consultant facilitating and coaching for balanced professional and personal improvement through life skills, strategic planning, and networking. Dr. Pola has served numerous professional organizations as a volunteer and board member, including Planned Parenthood Gulf Coast, Greater Houston Partnership Education and Workforce Advisory Committee, the Public Education Network Board, the Teach for America Advisory Board, the March of Dimes Board, the Texas Higher Education Coordinating Board’s P–16+ Council, and the Texas Association of Partners in Education Board of Directors. She chaired the 2005 and 2017 Convocation on Public Education for the American Leadership Forum (ALF), for which she is a fellow of Class XXIV. Dr. Pola is also a member of the Center for Houston’s Future 2014 class. Tonya Vetter taught in public education for several school districts, including Houston Independent School for nearly 15 years. She now continues to teach as an adjunct college professor at Houston Community College Systems as well as internationally. She has made a commitment to education on a scale that reaches beyond classroom walls and extends to the children she teaches in Beijing, China. Currently, she is a doctoral candidate at Houston Baptist University obtaining her doctorate degree in the Education in Executive Leadership Program. As a former public-school teacher, department chair, and grade-level lead, she understands the pressure and demands placed on those working within the school system and high-stress working environments. Tonya has a passion and desire to give back meaningfully and mindfully by sharing the gift of mindfulness. Through her work, studies and practice it has become her purpose and the gift she enjoys sharing with others. Tonya’s journey to mindfulness began organically in 2016 when she found herself overwhelmed by the pressures of the classroom as a school teacher. She was in search of something that did not have a name for her at the time, but it was “mindfulness” and it has profoundly changed her life. It led her to Mindful Being. In fact, mindfulness had such a profound effect on Tonya’s life that it was the topic she chose and researched for her dissertation. She is also a student at UCLA’s Mindful Awareness Research Center. Tonya’s community and international volunteer work includes, educational projects in West Africa and the Houston area. 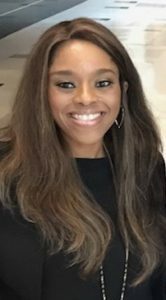 Each month she volunteers and facilitates professional development trainings at the Covenant House Homeless Shelter for Young Adults in the Houston area. She is a member of Women Empowerment Training Institute (WETI), Houston Baptist University Alumni Association, Texas Southern University Alumni Association, HBU Kappa Delta Pi Education Honor Society and many others. Founder of Mindful Living Revolution, Eden Tull teaches the integration of compassionate awareness into every aspect of our lives. 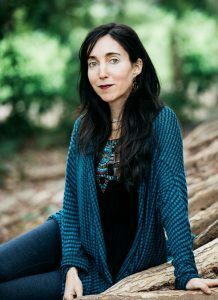 She is a Zen meditation and mindfulness teacher, public speaker, author, activist, and sustainability educator. She trained for seven years as a Buddhist monk at a silent Zen monastery in Northern California, and she has been traveling to, living in, or teaching about conscious, sustainable communities internationally for the last 25 years. She currently resides in the mountains western North Carolina and offers retreats, workshops, and consultations nationally. She has been Ann’s teacher since they met in 2015 at UCLA. Blinds: A Home Depot Co.